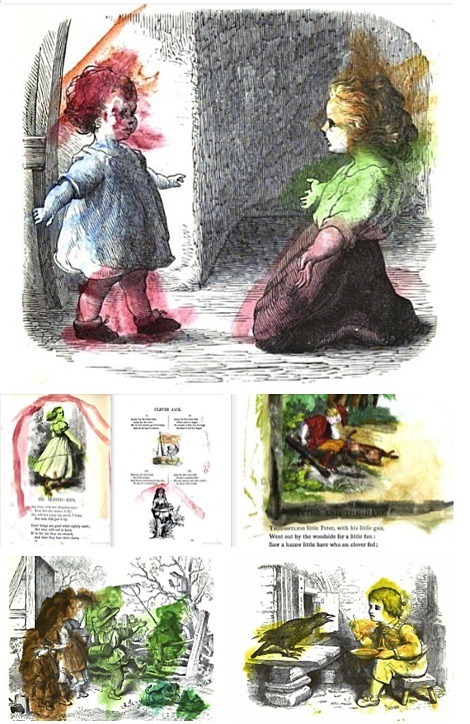 It gathers images of scans from Google Books that could be considered art. A lot of them are scans of used books with interesting drawing, writing, or ink in them. Others are mistakes caught by the scanner or odd color corrections. The digitization of old books is a very interesting cross between history and technology. Just to see these images of old books with technological skewing feels like some kind of commentary on the state of humanity. In this image, the scanner caught the page being turned. This appears to be a children’s coloring in an old book. You won’t find this type of stuff in an ebook, that’s for sure. As much as I enjoy the positive aspects of ebooks (like instant delivery and being able to search the text) they will always lack the feel of print-on-paper, and folded page corners, and pages gone brown over time.